Whether you're using a basement, a closet, or you're one of the lucky ones who has a dedicated room, your laundry area is important. It's the sanitation station for your entire home. Check out the beauty above. If your laundry is looking a little lackluster by comparison, it's time to make changes. Now, as you may already know, I've been tasked with putting some basic storage nooks through some basic training. And my Laundry Boot Camp is going to knock your dirty socks off. 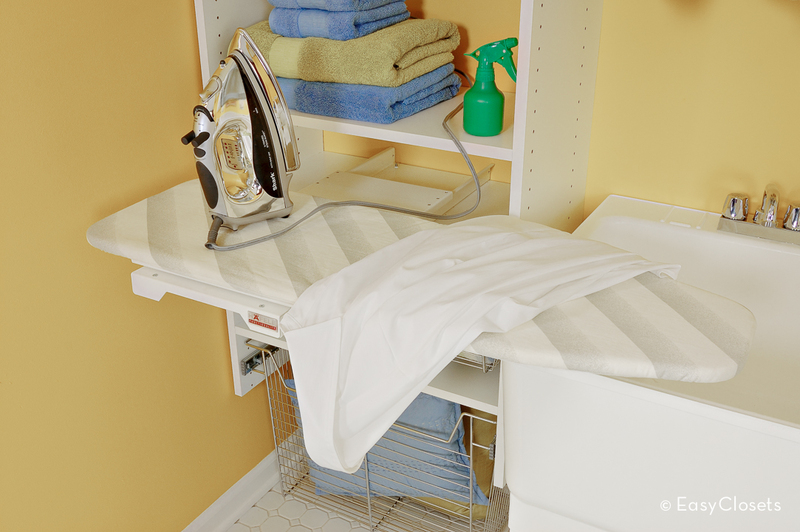 When you're planning your own laundry area, consider a few things: Is your ironing board taking up valuable real estate somewhere else in the house? Would you be more likely to fold clothes right away if you had a proper place to do so? Would you buy or make your own laundry detergent in bulk if you had a proper spot to store it, like this big cabinet below? The trick to tricking out these spaces is to find a way to give every inch of your area a defined meaning. 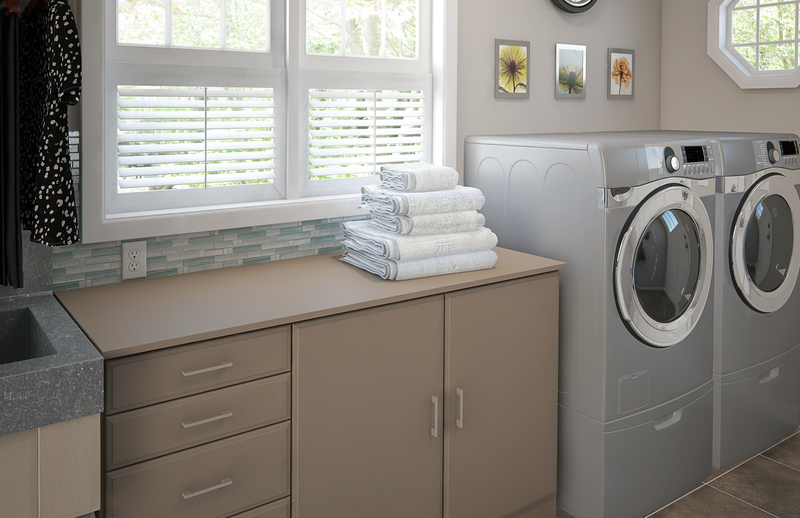 You might not believe it, but there's a good chance you could double the amount of usable space in your laundry room. And I'm not just feeding you a load of fluff (and fold).